Song Jin, a professor of chemistry at the University of Wisconsin-Madison, has a better idea: integrating the solar cell with a large-capacity battery. 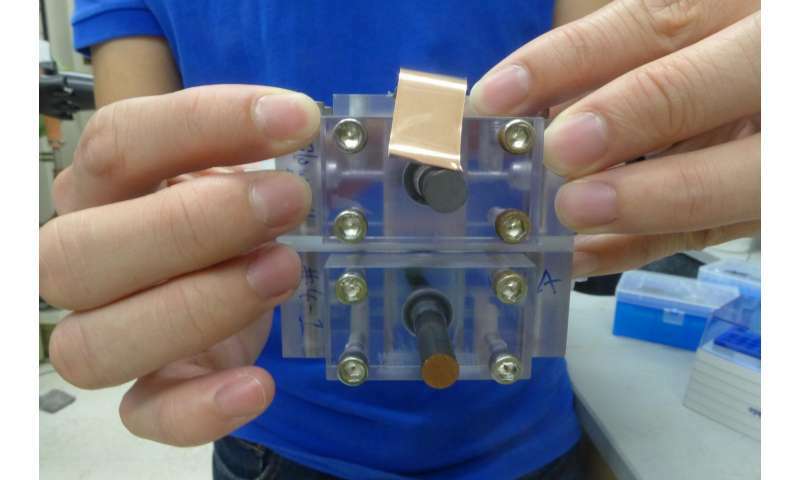 He and his colleagues have made a single device that eliminates the usual intermediate step of making electricity and, instead, transfers the energy directly to the battery's electrolyte. 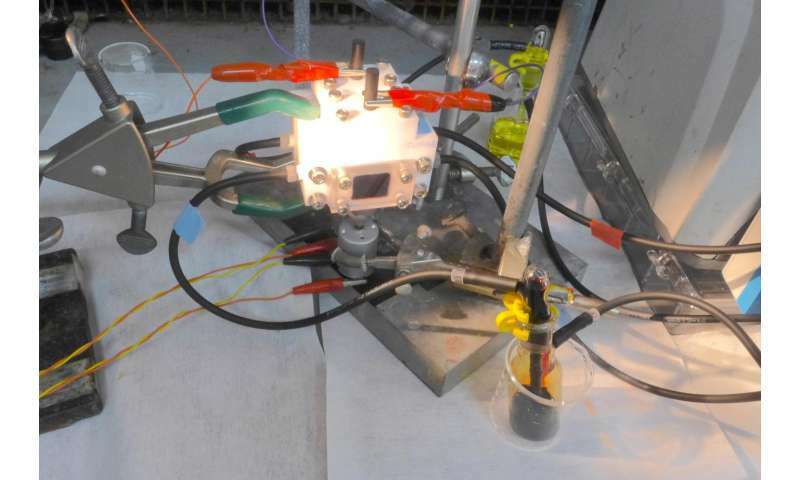 Jin chose a "redox flow battery," or RFB, which stores energy in a tank of liquid electrolyte. Discharging the battery to power the electric grid at night could hardly be simpler, Jin says. "We just connect a load to a different set of electrodes, pass the charged electrolyte through the device, and the electricity flows out." Unlike lithium-ion batteries, which store energy in solid electrodes, the RFB stores chemical energy in liquid electrolyte. "The RFB is relatively cheap and you can build a device with as much storage as you need, which is why it is the most promising approach for grid-level electricity storage," says Jin, who also works on several other aspects of solar energy conversion. Redox flow batteries already on the market have been attached to solar cells, "but now we have one device that harvests sunlight to liberate electrical charges and directly changes the oxidation-reduction state of the electrolyte on the surface of the cells," says Li, the first author of the new study. 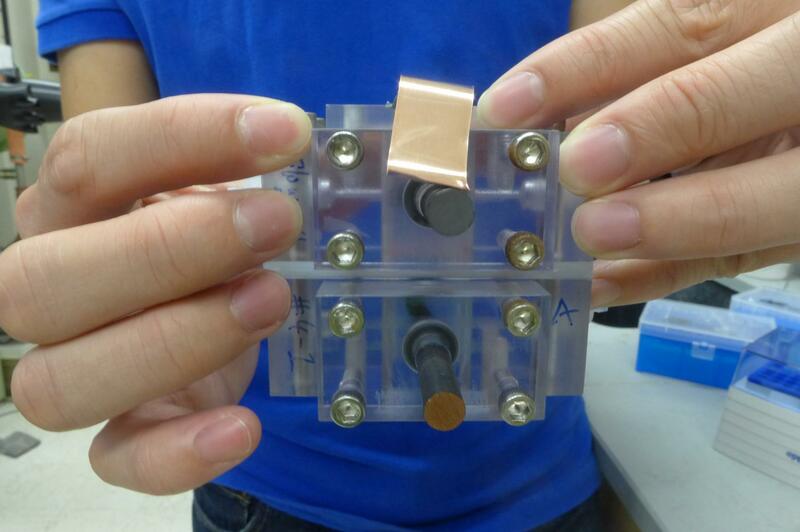 "We are using a single device to convert solar energy and charge a battery. It's essentially a solar battery, and we can size the RFB storage tank to store all the energy generated by the solar cells." The unified design suggests multiple advantages, Jin says. "The solar cells directly charge the electrolyte, and so we're doing two things at once, which makes for simplicity, cost reduction and potentially higher efficiency." 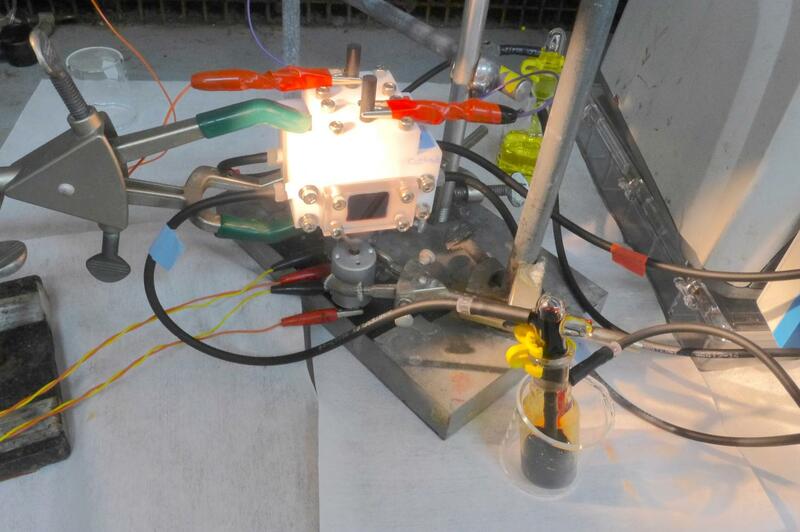 Having proven the concept of an integrated, solar-charged battery, Jin and Li are already working on improvements. One would be to match the solar cell's voltage to the chemistry of the electrolyte, minimizing losses as energy is converted and stored. A system that both creates and stores electricity will be judged by cost, efficiency and energy storage density, Jin says. "It's not just about the efficiency of converting sunlight into electricity, but also about how much energy you can efficiently store in the device." As solar energy use grows, the storage problem becomes more acute. "People say the solar electricity capacity cannot exceed about 20 percent of overall grid capacity, because of supply shortages at night or during cloudy weather," Jin says. "In some places, further solar installations may have to wait until better storage is available."